Cheesy Gold Foil … Pewter Top … Split Label … Donut … these are the names of legends. To the average person, gibberish I’m sure. But to the wise and weathered whiskey enthusiast these words stimulate the senses, stir emotions, and for the converted, invoke memories of grandeur. 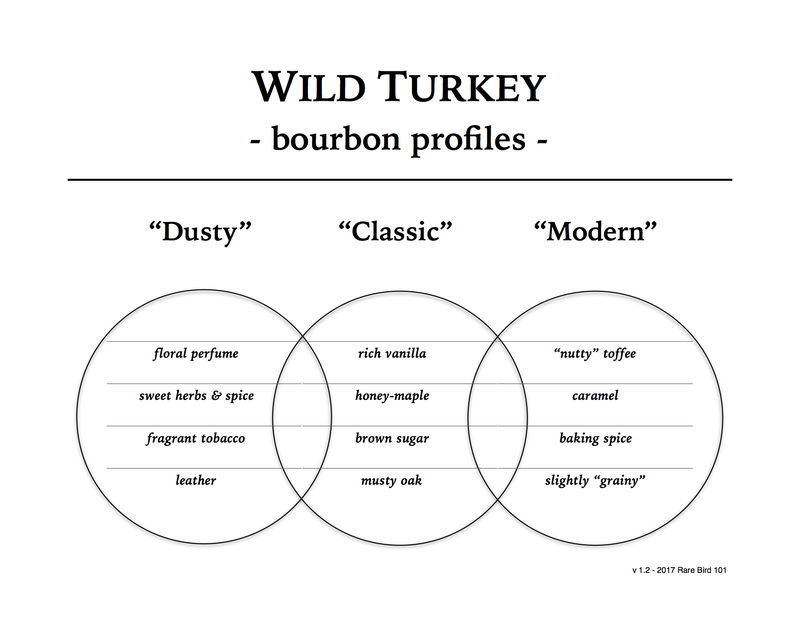 Today’s Wild Turkey stands on the shoulders of these giants, and the way it’s looking they’re not making many more of them. Needless to say, I’m very excited to have the opportunity to sample this highly sought-after Wild Turkey bourbon whiskey. Time for a pour! With a little water added: Tends to mute the best of its character and becomes more like a classic, yet average Wild Turkey 101 8-year. I’m not saying that classic WT 101/8 is an average whiskey, I’m just saying that Donut is a bourbon that truly shines at barrel proof. Dilution is not recommended. Overall: Impressive! Whatever filtration this whiskey experienced, it must’ve been minimal. This is one helluva complex bourbon – particularly on the nose. If given a decent length of time (resisting the temptation to taste, which would be ridiculously challenging) one could write a novella of notes relative to the nose alone. By the time you sip, you’re on such a high from scent overload that the huge vanilla/oak and intense spice nearly takes you by surprise (I was literally speechless … all I could say was “mmm, mmm” and eventually expletives of sheer joy). The finish is everything you’d expect – long, warm, and full of timeless Wild Turkey flavor. True legends are rare indeed – damn right, Jimmy.